The Trump administration came under attack this week over the issuance of a new commemorative coin that features both Donald Trump and North Korean dictator Kim Jong Un, whom the coin refers to as the “Supreme Leader.” Now, Press Secretary Sarah Huckabee Sanders has chosen to throw the U.S. Military under the bus for the release of the coin. During Tuesday’s White House press briefing, ABC News’ Jon Karl asked Sanders about the coins which were created by the White House Communications Agency. “Was it premature to make those?” Karl asked. While Sanders is correct about who controls the WHCA, the agency reports directly to the White House. Even if the White House didn’t participate in the design, which we find hard to believe given the size of Donald Trump’s ego, it would show a complete lack of control over agencies reporting to Trump’s administration. Critics quickly bashed the President and his staff for releasing a commemorative coin far in advance of a trip that might not occur. 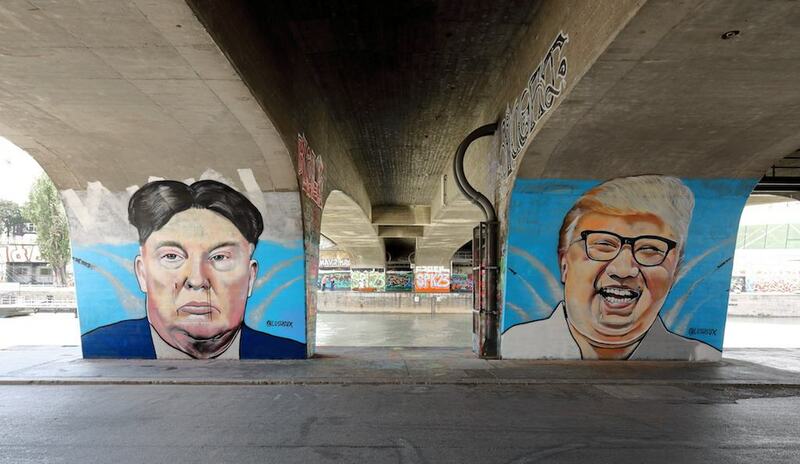 Further, calling one of the world’s most ruthless dictators a “supreme leader” hasn’t sat well with social media users who have lambasted the title. Blaming others for incredulous moves has become the go-to move for the Trump administration so we’re not really surprised by any claims now being made. Can we also talk about how untrue to real life the coin actually is? Donald Trump’s double chins were somehow removed and given to Kim Jong Un.